Prior to her employment in the educational arena, Dr. Hubbard practiced nursing in areas such as Medical-Surgical nursing, Intensive Care, Progressive Care and Neurosurgery. Dr. Hubbard has been a site visitor for ACEN for over 10 years and has served on the Evaluation Review Panel for five years. Dr. Hubbard served as a board member and chair of the education committee for the Florida Board of Nursing. Dr. Hubbard has been a co-author of two books designed to assist nursing students in the clinical setting. A third book that Dr. Hubbard co-authored was designed to assist new nursing faculty in the clinical setting. In addition, Dr. Hubbard has been a contributing author to a textbook for nurse practitioners using differential diagnosis guidelines. 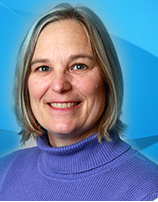 Dr. Hubbard has presented at national and international nursing and non-nursing conferences. Various topics that Dr. Hubbard has presented on include: rapid response teams, mentoring minority students, recruiting and retaining qualified faculty, mentoring new nursing faculty, and evaluating student performance in the clinical setting.